All Valve Industries has partnered with Radiant Heating and Cooling Solutions (RHCS) to provide the complete package for underfloor and ceiling radiant systems; from the design stage right through to supplying the system with the heat souce. RHCS specialises in designing hydronic based heating or cooling solutions, and All Valve Industries is the importer of components for these systems. All Valve Industries imports quality components from Europe, and we found that one of the main problems faced with radiant systems in Australia is that there are currently no regulations or standards in place for hydronic radiant systems. This has led to a number of poorly designed systems and inferior products being installed which simply do not work properly together. In fact, many of the systems being installed in Australia today is outdated technology and methodology and would not pass European laws for underfloor heating or underlfoor cooling installations. RHCS have experienced international employees and follow the European Standards for designs, thereby ensuring that the latest best practices are being followed to create the most energy efficient systems. 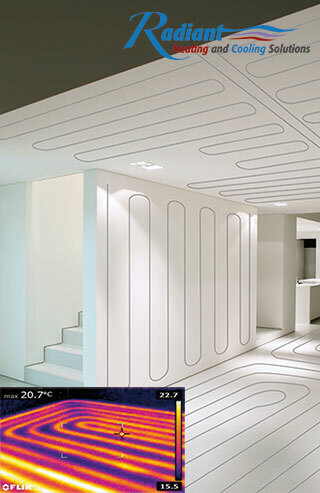 Visit the Radiant Heating and Cooling Solutions website to find out more.